One of the first historic cooking skills I learned was how to make butter in a crock churn. Until I made butter myself, I never understood the steps that are necessary to make sure the butter is the best it can be. 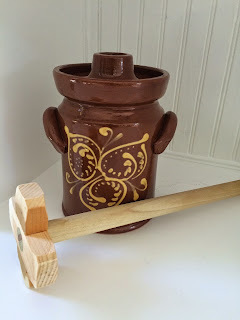 Don't have a proper butter churn? No problem. Follow the simple steps below to make butter in your 21st century home kitchen using modern equipment and heavy cream. 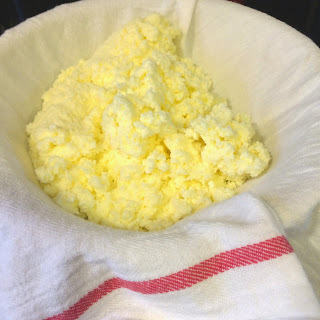 I have read many food historians claim that you cannot make butter from ultra-pasteurized heavy cream. Pasteurization is the process by which products are heated to kill disease-causing microorganisms. Ultra-pasteurization is when products are heated to a higher degree than for regular pasteurization. Some claim that the high temperature used for ultra-pasteurization makes it too hard for the butter to be able to form. Through experience, I can say with definitive proof that butter can be made from ultra-pastuerized cream with great success. Here is What You Will Need . . . 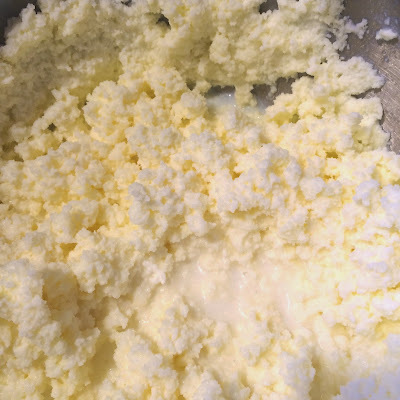 Here is How to Make the Butter . . .
1. I prefer to use cream that has been left out at room temperature for a few hours or even overnight. 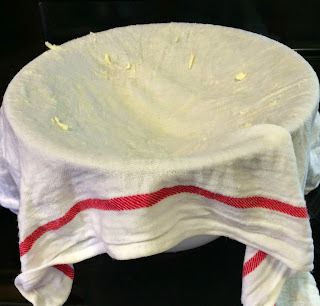 You do not need to do this, but it does make the butter form more quickly than used straight from the cold refrigerator. 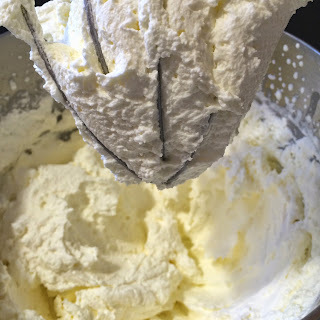 Place the heavy cream in the bowl of the stand-up mixer. Insert the whisk attachment. Turn on the lowest setting. If you use a higher setting the cream will splatter everywhere! 2. As the cream gets thicker, the risk of splattering decreases. Therefore, you can start to increase the speed setting until you reach the highest speed. Turn off the machine a few times to scrape down the sides. The cream thickens as it is whisked. 3. As the cream thickens, keep it set at the highest speed. It will turn to a really thick whipped cream just before the butter forms. At this stage you will need to stand near the mixer because the cream is going to turn to butter very suddenly. You will know it is butter because the butter (the fat) will be pulled out of the buttermilk (water/milk mixture). The buttermilk will start to splatter so you need to turn it off quickly or your kitchen will be covered in it (and so will you). 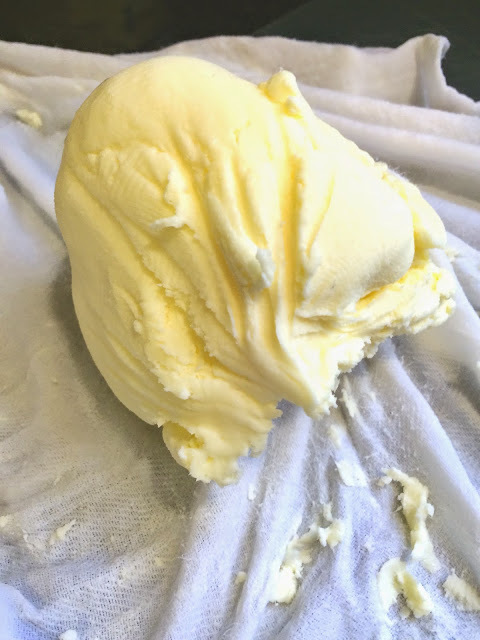 The butter fat has pulled out of the buttermilk. Notice the butter is sitting in pools of buttermilk. Place the sieve on top of the bowl. Lay the sack-cloth kitchen towel over the sieve. Pour the butter and buttermilk into the cloth-lined sieves. 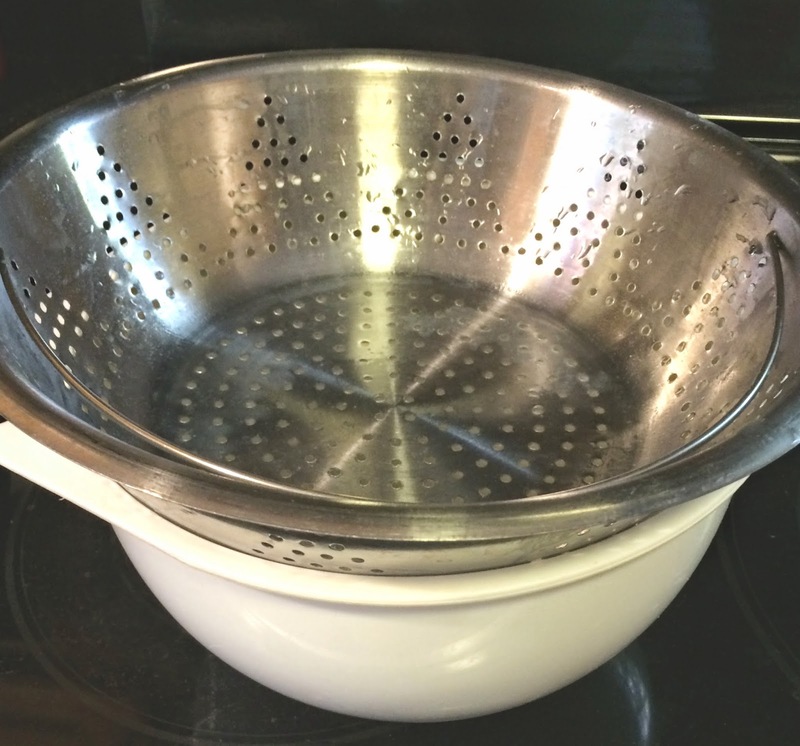 Place a Sieve on a Bowl. Cover the Sieve with a cotton cloth. Bring all corners of the towel together and twist together to squeeze out as much of the buttermilk from the butter as possible. 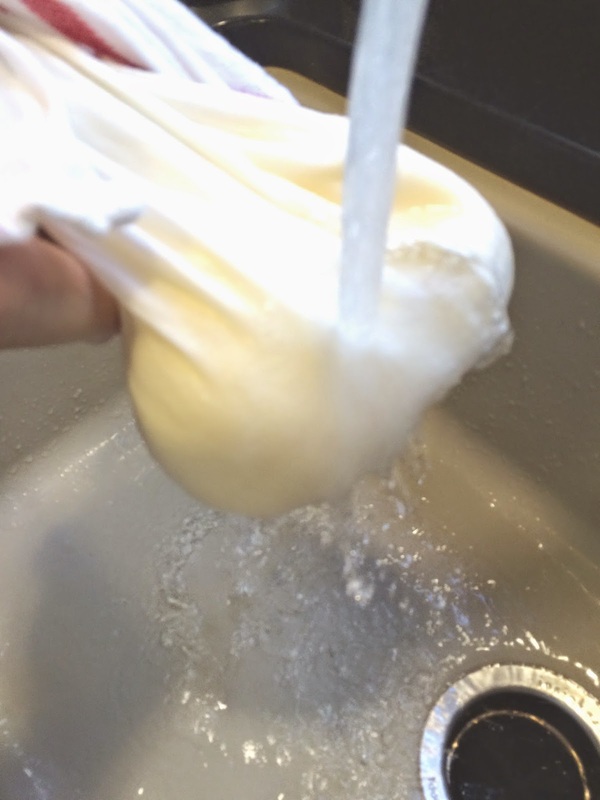 Run the cloth with the butter in it under the cold water tap of your sink. Make sure the water is cold; it will melt if it is too warm! Keep squeezing and twisting under the cold water until all of the buttermilk is removed from the butter. Run cold water over butter. You've just made butter! You can add salt to taste or keep it unsalted. In the days before refrigeration, butter and other dairy products were kept in a subterranean room that would naturally stay quite cool. In addition, butter was preserved with layers of salt, saline solutions, salt petre, and sugar. To use butter preserved in this way, cooks would have to wash the butter all over again to remove it! Labels: Butter-Making at home using electric mixer.